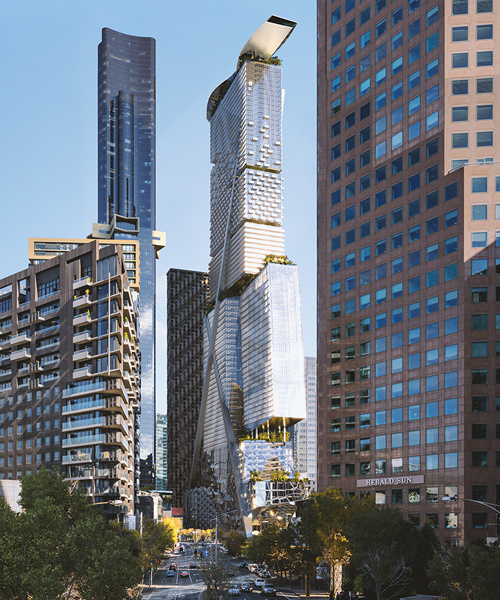 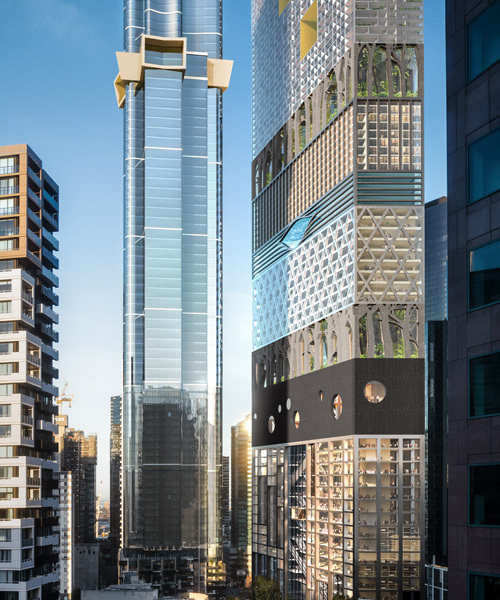 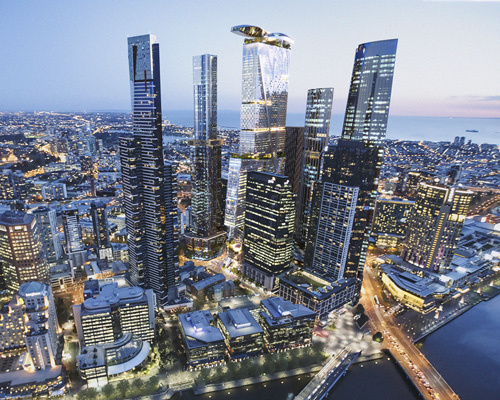 southbank by beulah is a competition to design a skyscraper in the australian city of melbourne. 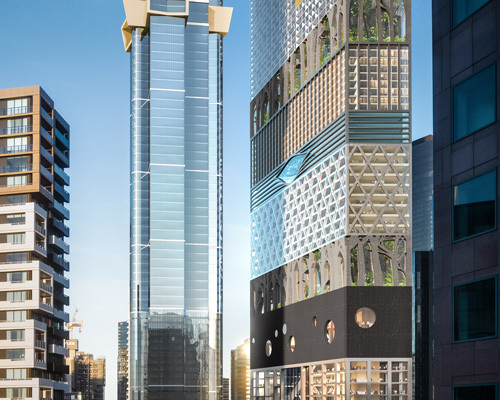 the firms competing to design the tower are BIG, coop himmelb(l)au, MAD architects, MVRDV, OMA, and UNStudio. 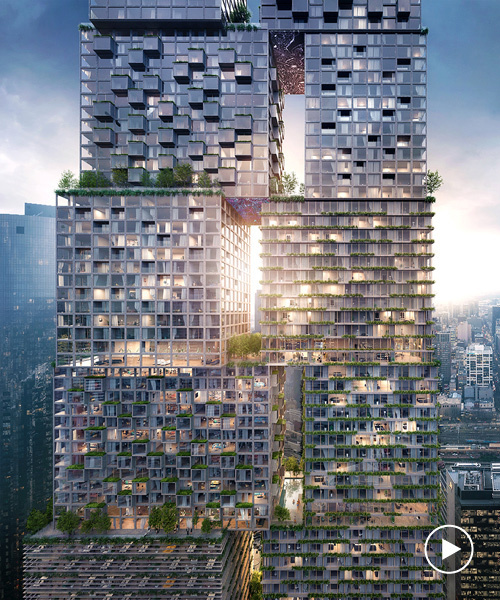 the project has been designed as two interlocking towers, each comprising a series of stacked volumes that contain a variety of different programs. 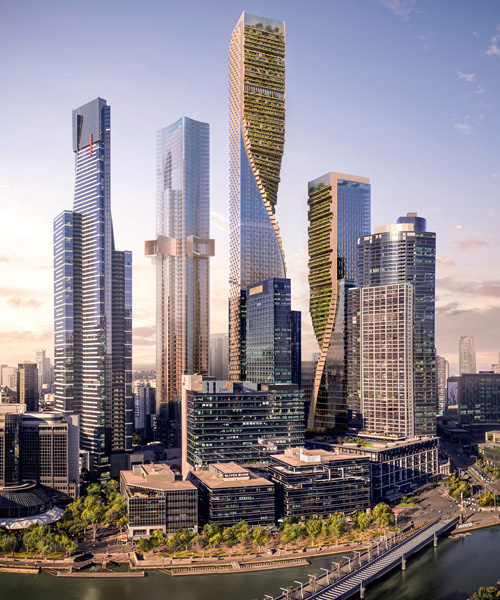 'beulah propeller city' has been conceived as a recognizable architectural landmark that redefines the city's residential, commercial, retail, and public open-space environments. 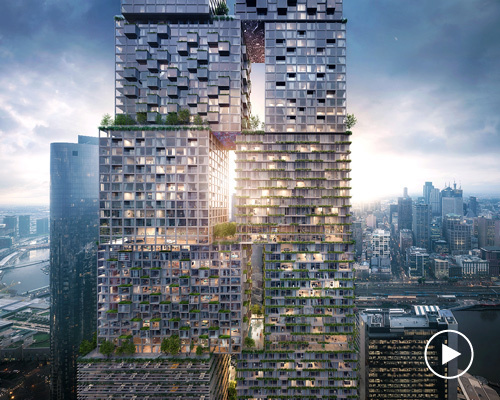 the proposal is competing against entries from other high-profile firms, including BIG, coop himmelb(l)au, MVRDV, OMA, and UNStudio. 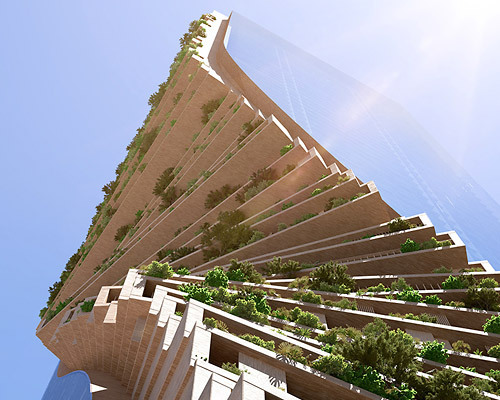 the tower's total size marks it the largest building the firm has ever designed after the CCTV headquarters in beijing.